As evidenced by last Monday’s post, I have a bunch of cool friends doing really awesome things — all of which seem to be happening during the month of September. Galt Niederhoffer is no exception. Galt is a writer/producer/director and one of the co-founders of Plum Pictures. She’s truly one of my inspirations. Three years ago, Galt and I met up for lunch. That day, she had just learned St. Martin’s Press was picking up her second book, THE ROMANTICS, and that she was pregnant with her second child. It was truly a day of celebration. We toasted over sandwiches and water. Then, when we went to pay the check, found out a mystery man had already paid for us. We never discovered the identity of the man, but he added a little excitement and intrigue to a convivial lunch. A year later, we were standing on Chelsea rooftop toasting the publication of THE ROMANTICS. Shortly after, Galt started writing the script based on her novel and, just last year, she was behind the camera directing her film adaptation of THE ROMANTICS. This also happened to be her directorial debut. I cannot imagine how mind-blowing it is to go from the very, very beginning of an idea’s gestation to sculpting the entire journey, by hand. I again raise my (virtual) glass to Galt. To romantic notions, second books and first times, dreams come true, and the greatest feeling of satisfaction. All hugs, my friend. This pick comes from the Top 25 Most Played songs on my iTunes. Paul Simon is one of my favorites. He’s more than a musician, he’s a storyteller. Each song is its own short story. Simply beautiful. To be honest, I have a love/”meh” relationship with Jonathan Franzen’s writing. I like it, but I also really want to edit him. His descriptions are both incredibly detailed and incredibly wordy. It sometimes drive me nuts to read long, drawn-out prose. However, the heart of the story always gets me in the end. 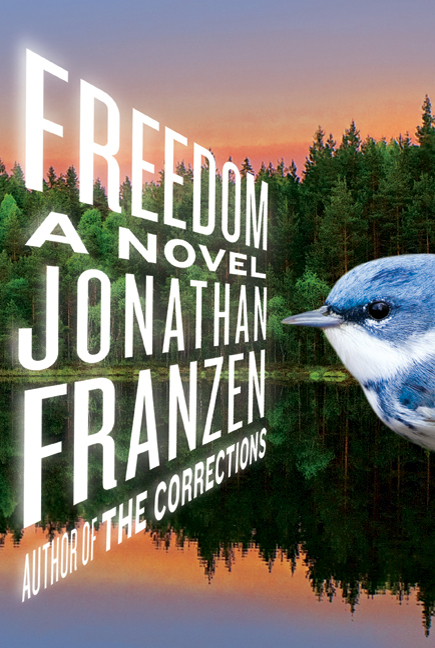 When I attended Franzen’s reading at the Union Square Barnes & Noble last week, his wordiness irritated me a little less than when I read THE CORRECTIONS eight years ago. Either I’m growing up or becoming immune to his overuse of nouns, verbs, and adjectives. Whatever it is, I hope it gets me through the entire book.